The United States is pleased to be engaging with other Parties here at the 23rd Conference of the Parties to the United Nations Framework Convention on Climate Change. The Minamata Convention represents a major step forward to help the United States and other countries to reduce people’s exposure to mercury, a toxic chemical with significant negative health effects including to the brain and nervous system. The United States supports a balanced approach to climate policy that lowers emissions while promoting economic growth and ensuring energy security. At the 28th Meeting of the Parties to the Montreal Protocol in Kigali, Rwanda, countries adopted an amendment to phase down HFCs, committing to cut the production and consumption of HFCs by more than 80 percent over the next 30 years. 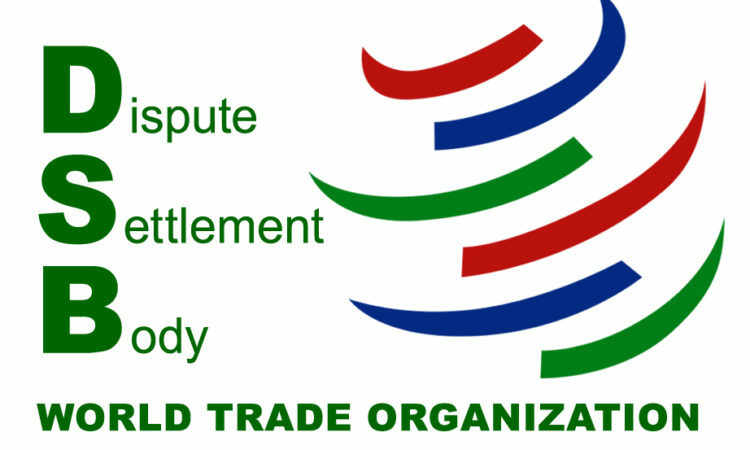 You are cordially invited to attend a U.S. Mission sponsored seminar at the WTO headquarters in Geneva. From September 1-10, the State of Hawaii will host the IUCN World Conservation Congress (WCC) under the theme “Planet at the Crossroads.” At the Congress, the State Department will help showcase the Administration’s accomplishments on a range of international environmental issues, including climate, oceans and wildlife trafficking. The U.S. Department of State has partnered with the Ocean Foundation, the Heising-Simons Foundation, Schmidt Marine Technology Partners, and the XPRIZE Foundation to launch a public-private partnership, the “OceAn pH Research Integration and Collaboration in Africa (ApHRICA)” project, to advance ocean acidification monitoring in Mauritius, Mozambique, Seychelles, and South Africa. Ambassador Pamela Hamamoto stresses the importance of the World Meteorological Organization and the many national weather and meteorological services around the world to address the impacts of our changing climate. If 2015 was a year of commitment, 2016 is the year to take action. And the IUCN World conservation Congress is an important step in that direction, offering us all a chance to define the sustainable path for moving the Paris climate agreement and the Sustainable Development Goals from targets to achievements. Maximizing the impact of addressing these environmental threats through partnership and cooperation is a guiding force in recent discussions between Secretary-General John E. Scanlon of the Convention on International Trade in Endangered Species of Wild Fauna and Flora (CITES) and U.S. Ambassador to the World Trade Organization (WTO) and Deputy U.S. Trade Representative Michael Punke. The United States is including first-ever reforms of harmful fisheries subsides in its regional trade agreements, like the recently concluded Trans-Pacific Partnership (TPP) agreement. The President’s Budget request for the Department of State and the U.S. Agency for International Development (USAID) directly supports the National Security Strategy by helping to build and sustain a more secure, prosperous, and democratic world. Today in Montreal, the U.S. and 22 other countries reached agreement on the first-ever global carbon standards for commercial aircraft. When fully implemented, the standards are expected to reduce carbon emissions more than 650 million tons between 2020 and 2040, equivalent to removing over 140 million cars from the road for a year. Climate change is a global threat that requires a global solution. Yet, many of the countries that have contributed little to global emissions are impacted the most. "I’ve come here personally, as the leader of the world’s largest economy and the second-largest emitter, to say that the United States of America not only recognizes our role in creating this problem, we embrace our responsibility to do something about it." On Thursday, August 27, the President will travel to New Orleans to meet with residents who have rebuilt their lives over the past 10 years since the devastation of Hurricane Katrina. The United Nations continues to stand working with the U.S. government. We really appreciate your strong leadership and support, and strong, generous humanitarian assistance to many places of conflict. Africa and its people helped to shape America and allowed it to become the great nation that it is. This agreement is a tangible example of the strong bonds of friendship and cooperation between the United States and Ukraine. It strengthens our bilateral economic ties and facilitates the growth of civil aviation between our two countries. The U.S. target will roughly double the pace of carbon pollution reduction in the United States from 1.2 percent per year on average during the 2005-2020 period to 2.3-2.8 percent per year on average between 2020 and 2025. We underscore the core principle of Disaster Risk Reduction, that each State has the primary responsibility for taking effective measures to reduce disaster risk, including for the protection of people on its territory, infrastructure, and other national assets. Climate change is an urgent and complex global challenge, requiring cooperation among all nations. Any effective solution to climate change depends upon all nations taking responsibility for their own actions and cooperating for the benefit of our planet. The election for IPCC chair will take place during the 42nd session of the IPCC from October 6-10, 2015. As the head of the U.S. regulating body charged with protecting public health and the environment, let me say on behalf of my organization, and the American people, thank you for all that you do. The United States is committed to identifying inclusive, ambitious, and flexible approaches to address climate change. With this report, we have yet another round of authoritative, peer-reviewed science to prove it. Simply put: the economy isn’t a reason to fear action, it’s a reason to take it. No nation is immune... Worldwide, this summer was the hottest ever recorded -- with global carbon emissions still on the rise. I come away from these first couple of months with a great appreciation for the breadth of work going on around this town. As well as the quality of the work being carried out by the dedicated people in the UN and the international organizations here in Geneva. Burma Getting Big Solar Power Plants with Help from U.S. 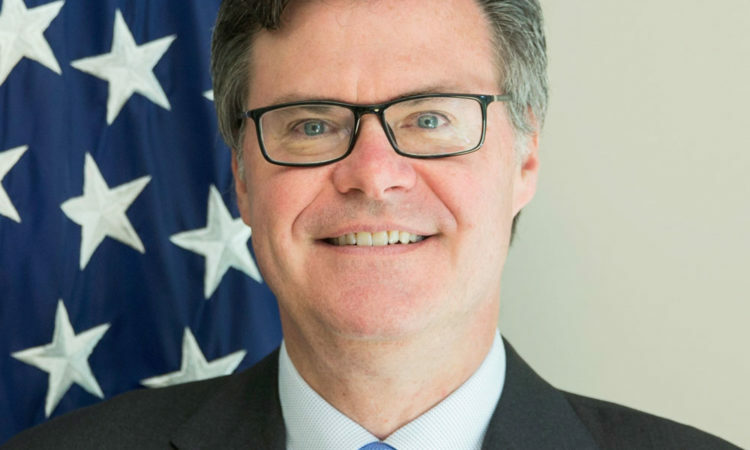 The project will increase Burma’s capacity to provide stable energy to its people and attract investment that will help the country grow its economy, according to a press release from the Office of the U.S. Trade Representative (USTR). We continue to support the WHO’s efforts to address climate change, working alongside fellow U.N. organizations such as the U.N. Environment Program and the U.N. Framework Convention on Climate Change. Secretary Kerry reminded us why we all need to care about the ocean: life itself depends on our relationship with the ocean. The ocean covers almost three quarters of the planet. The report is based on evidence that climate change already is affecting the United States with increased storm severity, harsh drought conditions and rising sea levels encroaching upon coastal areas. Since the Global Platform meeting last May, the world has been struck with a number of extraordinary disasters underscoring that the unrelenting global challenges we face have never been greater to reducing disaster risks worldwide. President Obama ordered an expansion of existing marine protected areas surrounding Pacific Remote Islands, and he set in motion stronger government action against illegal fishing. EPA is proposing a Clean Power Plan that will cut carbon pollution from our power sector, by using cleaner energy sources, and cutting energy waste. The Obama administration is taking action to reduce the amount of carbon sent into the atmosphere by electric power production, the source of about one-third of all domestic greenhouse gases and the single largest source of carbon pollution. EPA announced funding for six universities to research cleaner technologies and fuels for cooking, lighting and heating homes with the goal of improving air quality and protecting the health of people across the developing world. Increasing pressure on fragile land and water resources makes it more critical than ever to ensure that these resources are used effectively and sustainably to feed a swelling global population. I would like to reiterate Secretary Kerry’s continued commitment to tackling this illegal trade. U.S. experts in investigations of wildlife trafficking and enforcement of trafficking laws are about to begin duty in Bangkok and Dar es Salaam, Tanzania. Countries with unreliable supplies of water are more vulnerable to conflict, according to a new report from the U.S. Agency for International Development (USAID). How is the latest U.S. satellite and mobile technology helping 350 million of the world’s poorest people — including 60 million indigenous people — safeguard their homes and livelihoods? Secretary Kerry: This appointment comes at a pivotal moment in the global effort to address climate change. Every single year of the 21st century – including 2013 – ranks among the 15 warmest years on record. From January 12 to 17, 2014 Geneva’s CICG center will be the site of a major international conference and exhibit aimed at improving access to critical information on the global environment. Over the last five years, American inventors and investors have made significant progress in developing and deploying key clean energy technologies, supported by the policies of the Obama administration. The United States commends China for destroying more than five tons of ivory, in Guangdong Province. Environmental research and weather forecasting will advance with the February 2014 launch of the Global Precipitation Measurement (GPM) Core Observatory. OSCE continues to build trust and confidence among its 57 member states to advance political-military, economic and environmental security. Since its establishment by the Security Council in 1991, the UNCC has administered a truly innovative claims program. U.S. officials will consider whether the current legal U.S. trade in ivory should be outlawed as a way to curtail illegal trafficking in wildlife products. A U.S. team goes to the 2013 round of negotiations on global climate change ready to demonstrate that the United States has taken “robust action” to reduce the nation's level of greenhouse gas (GHG) emissions. U.S. Sends Mercury Treaty Ratification to U.N.
A global agreement to reduce environmental pollution from the heavy metal mercury moved forward November 6 when the United States became the first nation to send ratifying documents to the United Nations. The U.S. is making steady progress in reducing energy consumption, increasing efficiency and deploying alternative energy technologies. Nations of the world’s leading economies rank climate change along with growth, jobs, investment and trade as a key issue of the future. The U.S. Agency for International Development (USAID) and Sweden's development agency (Sida) announced the Securing Water for Food: A Grand Challenge for Development. Building on a 30-year relationship, top officials from the National Oceanic and Atmospheric Administration (NOAA) and the European Organisation for the Exploitation of Meteorological Satellites (EUMETSAT) signed a long-term cooperative agreement, ensuring continued space-based weather, water and climate monitoring. U.S. innovation in energy-efficient and low-carbon technologies is moving at a steady pace, and Obama administration policies are aimed at further accelerating that speed as part of the recently announced strategy toward a low-carbon economy. The year 2012 was among the 10 warmest on record, according to the 2012 State of the Climate report, compiled by almost 400 scientists from 52 nations. Environmental protection is good for the economy and creates jobs, according to decades of national experience. The United States’ new top environmental officer says those facts should end the nation’s decades-long debate on a “false choice” — the assertion that environmental protections inhibit economic growth. Asian governments are showing heightened concern about addressing environmental problems and preserving existing natural resources, according to assessments presented to a U.S. Senate Foreign Relations subcommittee. USTR Michael Froman says the United States has fully implemented the recommendations and rulings of the WTO in a dispute brought by Mexico on the U.S. dolphin-safe labeling program. Top environmental officials from Canada, Mexico and the United States agreed on an action plan to improve environmental standards in the transportation sector, act on climate change and improve air quality. Pairs of U.S. and Chinese companies and institutions are joining ventures in which they seize shared problems to find solutions that prevent pollution, mitigate greenhouse gases, protect water and preserve the environment. The Obama administration recognized 11 community health leaders from around the U.S. for their work to raise awareness of climate change and the ill effects it can have on public health. President Obama outlined his latest proposals to reduce U.S. carbon emissions and prepare the nation for climate change. New discoveries and new technologies have created significant increases in domestic energy production, allowing a decrease in reliance on oil imports. The world’s oceans lost a champion when U.S. Senator Frank Lautenberg died June 3 of viral pneumonia. President Obama is preparing for a meeting with Chinese President Xi Jinping June 7-8 as U.S. presidential advisers lay the groundwork for future agreements to advance a shared agenda. Feeding the hungry, preventing waste, saving money and cleaning the air are the multiple objectives in sight for World Environment Day 2013. In businesses, factories, schools and other public buildings, they are dimming the lights and insulating the pipes to increase energy efficiency and reduce energy consumption. Ambassador King: "Dr. Janjic embodies the spirit of international scientific cooperation that is the hallmark of the work of the WMO and of the IMO Prize." The Arctic Council presides over one of the Earth’s coldest places, but the warming of the Arctic and the overall planetary trend of climate change were the dominant topics as the council met May 15 in Kiruna, Sweden. Washington State University will lead a new effort to develop wheat varieties that are better at tolerating the high temperatures found in most of the world’s growing regions — temperatures that are likely to increase with global warming. The melting of Greenland's glaciers in the summer of 2012 was as extensive as it has been in more than a century, and U.S. scientists now conclude that a very particular type of cloud formation made the difference. Ambassador Betty E. King delivered remarks at an event to celebrate the 40th anniversary of the Convention for International Trade in Endangered Species of Wild Fauna and Flora (CITES). The U.S. Mission sponsored an exhibit and film presentation to mark the occasion. Landsat 8 lifted off from Vandenberg Air Force Base in California February 11, beginning a mission to constantly collect data about surface conditions on Earth. The mission puts more sensitive instruments in orbit, opening the latest chapter in Earth observation. Oil and gas prospectors will be able to bid on leases March 20 to explore and develop petroleum resources in the central Gulf of Mexico as part of the Obama administration’s five-year leasing program for the region. With climate change and illegal fishing threatening fish stocks and ocean health around the world, countries need to work together and with industry to manage access to fish, analysts say. Busy shipping lanes off the California coast, including routes that cross three national marine sanctuaries, will be adjusted to protect endangered whales from ship strikes. California is holding its first carbon emissions permit auction November 14. The auction is a critical component of the state’s cap-and-trade program, a market-based initiative to reduce greenhouse gas emissions by creating incentives for companies to limit their pollution. Blocking the sunlight that reaches Earth might be another means to lessen the effects of climate change, some U.S. scientists theorize. The United States is proud of its association with the IUCN. There are 91 IUCN members in the United States, including the Department of State and six other U.S. Government agencies and over 50 non-governmental organizations. We look forward to continuing that relationship for many years to come. There is no speech that justifies mindless violence. There are no words that excuse the killing of innocents. There's no video that justifies an attack on an embassy. First signed in 1972 and last amended in 1987, the Great Lakes Water Quality Agreement is a model of binational cooperation to protect the world’s largest surface freshwater system and the health of the surrounding communities. Russia and the United States plan to link national parks situated along both sides of their border on the Bering Strait to help protect environmental resources, conduct scientific research and preserve the lifestyle, cultures and languages of the region’s indigenous population. UN Open Day is a great way to learn about the work of the United Nations and the diplomatic Missions in Geneva. We hope to see many of you there! A U.S. Coast Guard ship is sailing the Arctic to conduct research on growing acidity in the northernmost ocean and its effect on the food chain. NASA and the Interior Department marked the 40th anniversary of the Landsat program with a Washington event that celebrated the contributions of the world’s longest-running Earth-observing satellite program to environmental research and global development. The U.S. agency that studies the Earth’s environment and predicts changes has announced a major advance in its ability to predict mass coral bleaching that will determine the probability of bleaching up to four months into the future. The United States announced new whale conservation initiatives and led the effort to promote conservation work at the 64th annual meeting of the International Whaling Commission (IWC) July 2–6 in Panama. Partially funded by the U.S. Department of Agriculture, the MSU program has developed a new application for thermal imaging technology, using it to monitor surface temperature gradients on animals. “Space weather is a global challenge requiring coordinated global preparedness. We recognize space weather as a significant natural hazard risk with economic and societal impacts on key infrastructures and technologies including power grids, location and timing systems, aviation operation and security of satellites." Almost half of the U.S. Mission’s lawn has been converted to a Prairie seeded with indigenous plants. The new gardens are easier to care for, better for biodiversity, and require no water. Populations of oceangoing mammals are rebounding in U.S. waters and beyond, thanks to a federal law enacted nearly 40 years ago. Methane hydrates are ice structures with natural gas locked inside. They are found both onshore and offshore, including under the Arctic permafrost and in ocean sediments along nearly every continental shelf in the world, the Energy Department said in a press release. New designs for more energy-efficient household appliances are among the top goals announced at a high-level governmental forum working to speed the global transition to cleaner technologies. The United States will exhibit its diverse ocean environments and coastal communities during EXPO 2012 Yeosu Korea, and tell how America’s culture, history, security and economy are linked to this complex ecosystem. The U.S. Mission supported an event for Earth Day at the International Environment House. Organized by the Antinea Foundation and the Geneva Environmental Network, the event aimed to build synergies among the NGOs present. Ecosystems dependent on snow and ice may suffer the most adverse impacts from climate change, according to a body of information accumulated through the Long Term Ecological Research (LTER) Network, a project sponsored by the National Science Foundation (NSF). NASA’s Jet Propulsion Laboratory in Pasadena, California, aims to satisfy the curiosity of anyone seeking a bird’s-eye view of the Earth’s transformation through decades of climate change and global warming. The U.S. Fish and Wildlife Service’s Wildlife Without Borders program has entered into an agreement with Cameroon’s Garoua Wildlife College (l’Ecole de Faune de Garoua [EFG]) that will enhance wildlife conservation in Central and West Africa, the U.S. Fish and Wildlife Service (USFWS) announced March 15. Rio+20 is about the future. The United States believes that Rio+20 should be a different kind of meeting, one that transforms the multilateral approach to sustainable development and incorporates its concepts across all sectors. The United States believes that Rio+20 should be a different kind of meeting, one that transforms the multilateral approach to sustainable development and incorporates its concepts across all sectors. Reta Jo Lewis spoke at the opening of the Road to Rio – R20 Conference in Geneva March 7, 2012. Major corporate players in a variety of industries, from food to retail to computers, have received awards for their leadership in reducing carbon emissions and taking action on climate change. Partners in 60 countries in six regions will share nearly $15.5 million in wildlife conservation grants from a U.S. agency to protect endangered wildlife. Satellite observations accumulated over a seven-year period show that the volume of Earth’s land ice mass decreased by 4.3 trillion tons (more than 4,150 cubic kilometers) and increased global sea level by 12 millimeters. That’s enough ice to cover the entire United States to a half-meter depth. Career opportunities are growing in the emerging “green economy,” and women need to take notice, according to Sara Manzano-Díaz, director of the Women's Bureau at the U.S. Department of Labor. World Wetlands Day gives us a unique opportunity to highlight and celebrate our diverse wetlands around the globe. Only recently have we begun to understand the important functions that wetlands perform – they are the world’s most productive environments, comparable to coral reefs and rain forests, and a vital link between water and land. Worried that warming temperatures and glacier melt might endanger Seattle’s water supply, city officials took bold steps to cut greenhouse gas emissions. By 2023, Turkey seeks to produce 30 percent of its power from renewable resources, including solar, wind, hydro, geothermal and biomass. By increasing renewable-energy and energy-efficiency exports, U.S. firms can help Turkey meet its energy needs while supporting American jobs in the growing clean-energy sector. Data collected from U.S. and French satellites have led to confirmation of a “merging tsunami,” the monster wave that slammed the northeastern Japanese coastline last March. Excessive levels of carbon dioxide (CO2) in the atmosphere are causing the planet to grow warmer, most researchers agree. One possible response to the problem is to prevent CO2 from entering the atmosphere by storing it somewhere else. Rio + 20 should seek to make governments around the world more transparent and accessible, to better engage citizens, and to build new networks across all sectors of our societies. We look forward to achieving these goals together. “The world of energy diplomacy is one that we see as central to the mandate that we have as a foreign policy agency,” said Ambassador Carlos Pascual, Secretary of State Hillary Rodham Clinton’s special envoy and coordinator for international energy affairs. More than 4,220 Peace Corps volunteers have served in the Dominican Republic since the program was established in 1962. Currently, 220 volunteers serve in the country. They work in community development, health, environment, youth development and business and are trained and work in Spanish and basic Haitian Kreyol. The United States and the Republic of Korea will work together to advance innovative breakthroughs in clean energy technology, the Department of Energy (DOE) announced October 13. Degradation of the land supporting human life and the food supply is an environmental threat that endangers the lives and livelihoods of more than 1 billion people worldwide. On September 20, world leaders met in a high-level U.N. forum for the first time to address desertification and drought. This year a jury will choose three policies that they believe best contribute to the conservation and sustainable development of forests. Twenty policies from sixteen countries were nominated and the United States joins five other countries on the list of finalists: Bhutan, The Gambia, Nepal, Rwanda, and Switzerland. Research published June 20 finds a steady rise in the sea level on the U.S. Atlantic coast, a faster rise now than at any time in the last 2,000 years. In commemoration of World Environment Day, the U.S. Mission is sponsoring Mona Sfeir’s “Recycling Labyrinth” a work of art comprised of 8,000 plastic bottles, the number of bottles that go into landfills worldwide every second, at the Palais des Nations in Geneva. Choosing the right tree to plant depends on what sort of climate you live in. The U.S. Department of Agriculture teamed up with the Chicago Botanic Garden and Pennsylvania State University to produce an illustrated list of trees and shrubs best suited for urban environments. Scott initially intended for the lamps to be used in commercial buildings or aircraft. Then he read The Fortune at the Bottom of the Pyramid and shifted his approach. The book by C.K. Prahalad describes the commercial opportunities offered by the 2.5 billion people in the world who live on less than $2.50 per day. The U.S. Environmental Protection Agency (EPA) has awarded a grant to the United Nations University (UNU) to help curb rising pollution and health problems associated with discarded electronics. Ambassador King: "With the sowing of seeds of what is known as the “mélange de Geneve” – which includes 46 different species of regional and local flowers and native wild grasses – the lawn we stand on today will be transformed into a meadow full of flowering prairie grasses indigenous to the Geneva region." The depletion of the ozone layer over the Arctic is more severe than scientists have ever seen it, with a 40 percent loss occurring from the beginning of winter to late March. To commemorate World Forestry Day and the International Year of Forests, Ambassador King planted a tree on UN grounds in a symbolic step "towards furthering the ambition of increased tree coverage around the globe." In his January 25 State of the Union address, President Obama challenged the United States to become the first nation with 1 million electric cars. His administration since has announced several initiatives it will ask Congress to fund in the 2012 budget to help spur such rapid growth. Last year in Copenhagen, President Obama joined with leaders and others representing countries from around the world to find a formula that could bridge a wide variety of interests and perspectives and forge a new path on climate change – one on which all Parties would embark together. A Blog by the Nine U.S. landscape architecture students who are spending the first two weeks of August studying the grounds surrounding the U.S. Mission and drafting a design to make our gardens greener and more sustainable. Ambassador Betty E. King: "By being a pioneer in adopting trade measures to prevent overexploitation and relying on scientific advice for the authorization of wildlife trade, CITES has put the machinery in place to contribute to the improved management of the key natural assets of our planet." I’ve returned from a trip to the Gulf Coast to speak with you about the battle we’re waging against an oil spill that is assaulting our shores and our citizens. The highest priorities of U.S. national security are the safety of Americans at home and abroad and achieving a peaceful, stable world through global cooperation despite a flawed international system, President Obama says. President Obama today challenged Americans to take action in their homes, communities, schools, or businesses to improve the environment in honor of the upcoming 40th Anniversary of Earth Day, April 22, 2010. While officially considered protected areas by the government, national forests in Bangladesh are commonly encroached upon by citizens of surrounding communities and are havens for illegal logging activities. These are mostly poor people who depend on removing timber to sell as fuel for wood-burning stoves or use for construction purposes. The White House announced today that President Obama will travel to Copenhagen on Dec. 9 to participate in the United Nations Climate Change Conference, where he is eager to work with the international community to drive progress toward a comprehensive and operational Copenhagen accord. The U.S. Mission in Geneva is the first State Department facility, abroad or at home, to receive this designation, certifying that our grounds provide the essential elements for healthy and sustainable wildlife habitats. This eJournal USA offers perspectives of experts and activists in several key countries on effective policies to curb greenhouse gas emissions to mitigate global warming and adapt to irreversible changes, and features an introduction by U.S. special envoy Todd Stern. Improving development and delivery of climate services offers untold economic, environmental, human health, and national security benefits. For these reasons, the U.S. delegation is very pleased with the outcome of this conference, and its decision to establish a Global Framework for Climate Services. "Last year, the United Nations first proclaimed June 8 as World Oceans Day. This observance is a time to reflect on the importance of the world's oceans to our planet's health. World Oceans Day is also a timely reminder of the many pressures the oceans face. "